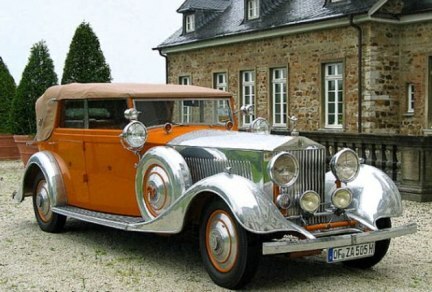 The scion of a royal family in Rajkot paid a whopping sum of Rs 3.22 crore (Rs 32.2 million) to an auction house in Canada, to bring back the sold-off vintage Rolls Royce car, customised to order of his grandfather 76 years ago. Grandson Mandhatasinh Jadeja attaches a lot of emotional value to the vintage car, which witnessed umpteen celebrations and historic moments, with Father of the Nation Mahatma Gandhi and Queen of England also enjoying a ride on it. 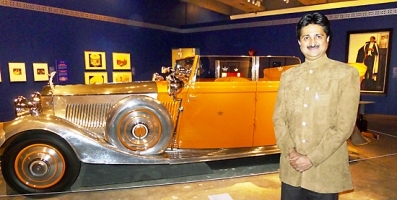 Image: Maharaja YS Mandhatasinhji of Rajkot poses with Star of India Rolls Royce. "I managed to bring back the vintage car by paying Rs 3.22 crore. The car was displayed and auctioned at the Toronto Art Gallery in Ontario's latest exhibition. "I am happy to bring back the old heritage of my grandfather Dharmendrasinhji," Jadeja told reporters in Rajkot. The car which is known as the 'Star of India' will be back to its original place, where its historically linked, he said. Image: Star India Rolls Royce. Dharmendrasinh Jadeja, ruler of the princely state of Rajkot had gained popularity among his people due to his developmental and pro-poor attitude. Mahatma Gandhi's father Karamchand Gandhi was the 'diwan' of Rajkot state. 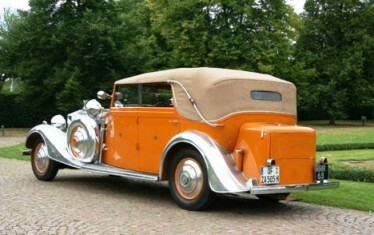 "Dharmendrasinhji had got the car custom-made from the company for his day-to-day use in 1934. 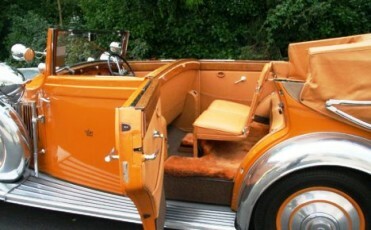 The car remained with the family till 1968, following which it was sold," Jadeja said. 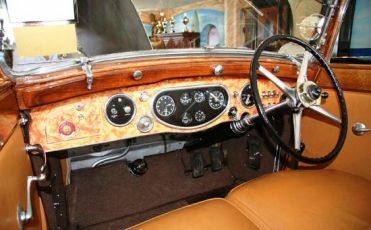 Image: Interior of Star India Rolls Royce. The car door feature the Rajkot state monogram bearing the motto 'Raaje Dharmi Praja Raja' (the first duty of the ruler is to serve its citizens), he said. The saffron-colour car would land here in April or May next year as the exhibition holder had urged the scion to keep the car in the exhibition till then. Mandhatasinh has also planned to take out a grand procession when the car will land here, he said. Mandhatasinh's father Manoharsinh Jadeja had been finance minister during the Congress rule in the state while his son Mandhatasinh has joined BJP now. The world's biggest shoplifters; India No. 1!